Are you a lawyer or a word processor? 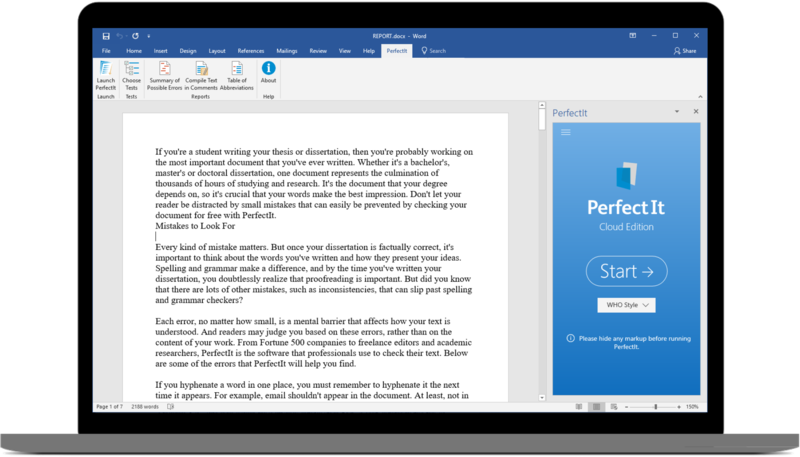 Reclaim your role and delegate tedious proofreading tasks to PerfectIt. Lawyers are professional writers. 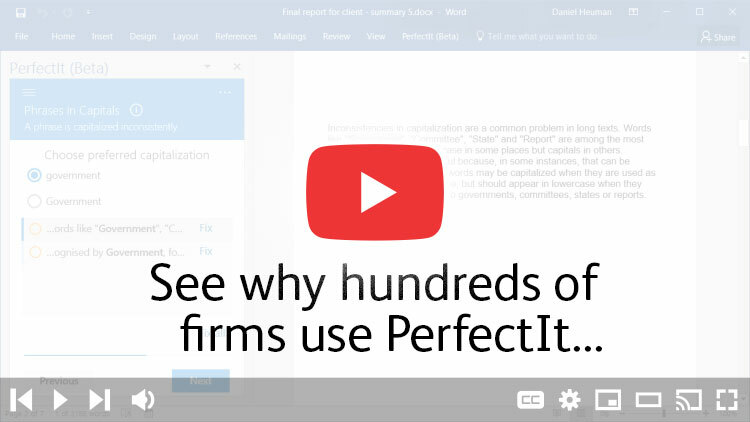 Now more than 500 law firms have joined the ranks of professional writers and editors in 72 countries who have been using PerfectIt since 2009.